We’ve got the scoop on this years most popular color and we’re here to give you the intel. As of the end of 2018, The Pantone Color Insitute has dropped its selection for color of the Year 2019. Drum roll please…The color of the year is Living Coral (16-1546), a vibrant and captivating shade akin to marine and aquatic styles. Along with that, Pantone also describes the color of the year as a fun and welcoming shade that is nurturing to the soul. For years, the Pantone color of the year has influenced everything from fashion to graphics to interior design. Explore through some of the many ways you can incorporate Living Coral (16-1546) into your home this season. These stools are the perfect addition to any entryway or office space. 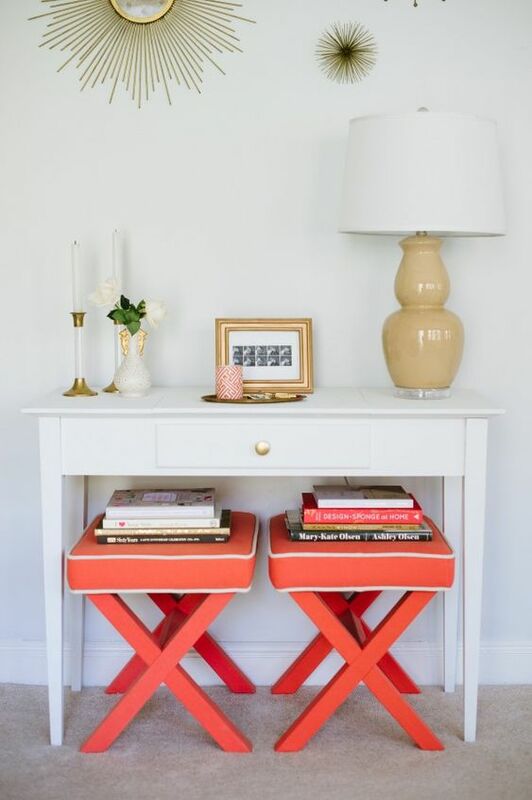 Living Coral (16-1546) pops against this white table, to give it a very clean and polished look. The white lining of the stool matches with the overall white decor perfectly. 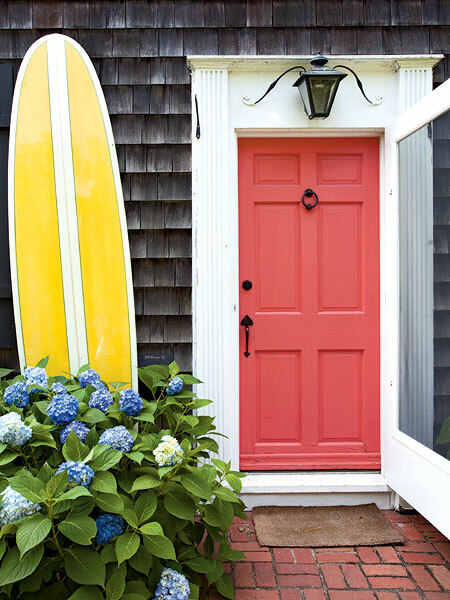 Who doesn’t love a good statement door? It’s an easy way to turn your home into a welcoming and warm environment, and this color really add character to a home. Who wouldn’t want to be greeted by Living Color (16-1546)? Bold and bright, Living Color (16-1546) adds a vibrant splash to this cream and white color scheme. Bring in spring early with this drawer and turn your bedroom into a tropical paradise. 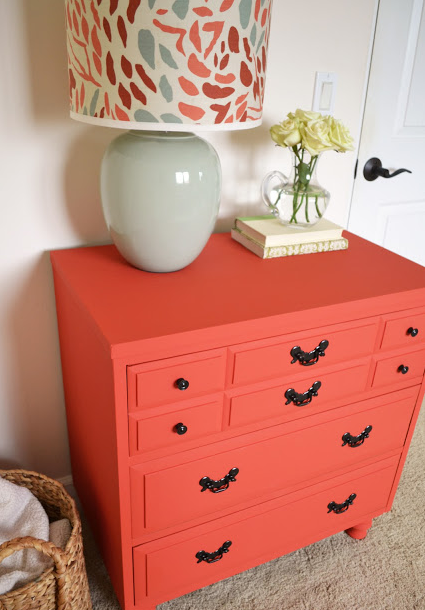 This look can be easily achieved by painting or spray painting your rundown drawer. Be adventurous and try out this new style! Add life to your living room with these elegant sheer curtains. They cascade beautifully down to the floor and bring a refreshing and radiant aura to any space. These would be the perfect addition to a cramped room. The curtains color and length opens up the spaces and the sheer material allows for more light to enter in, making the space feel bigger. Turn your boring walls into masterpieces and try this paint color to spice up your space. 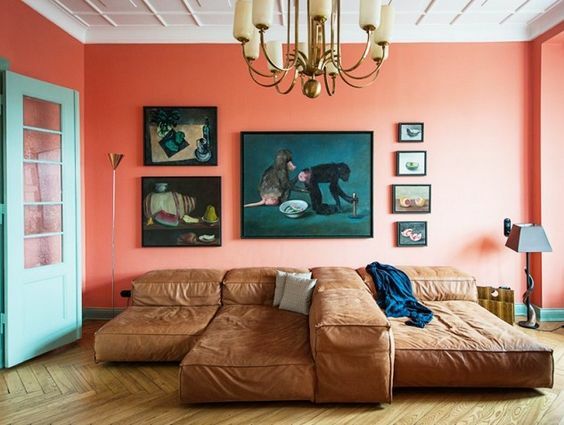 This living room is ignited by this Living Coral (16-1546) wall color. The eye-catching colors pops against the white ceiling and mint green door. We love this trendy use of color blocking! Swap your traditional tableware for these trendy pieces. These napkins in Living Coral (16-1546) are a fabulous complement to beautiful white porcelain dishes and gold dainty cutlery. 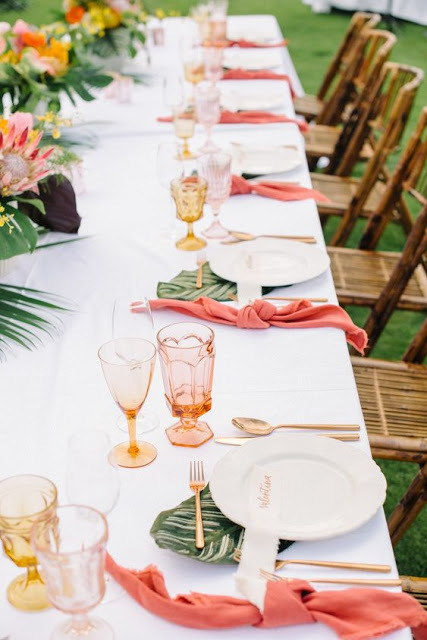 Capture a vision of the tropics with this vibrant color scheme. It’ll leave you longing to take an island excursion. This rug combines fun and sophistication, with it’s beautiful suede texture and vivid hue of Living Coral (16-1546). This stunning rug can really turn any neutral bland color scheme into a trendy and stylish home interior. 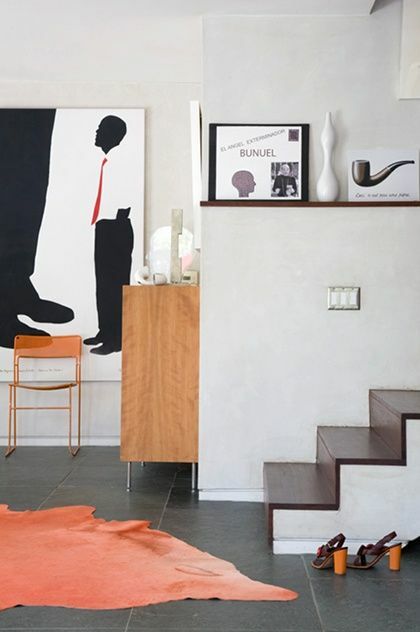 We love how the color of the rug bring out the shade of red in the painting hung above. Incorporating these plush pillows into your home is the perfect way to celebrate Pantone’s Color of the Year. Velvet material is intricately woven to spiral around a button tuft in the center of this pillow. 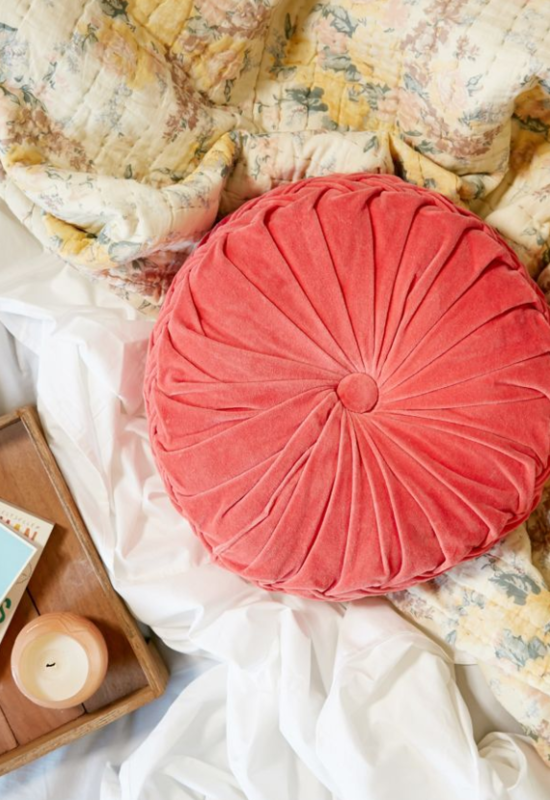 We picture this pillow being styled in a bohemian home interior. 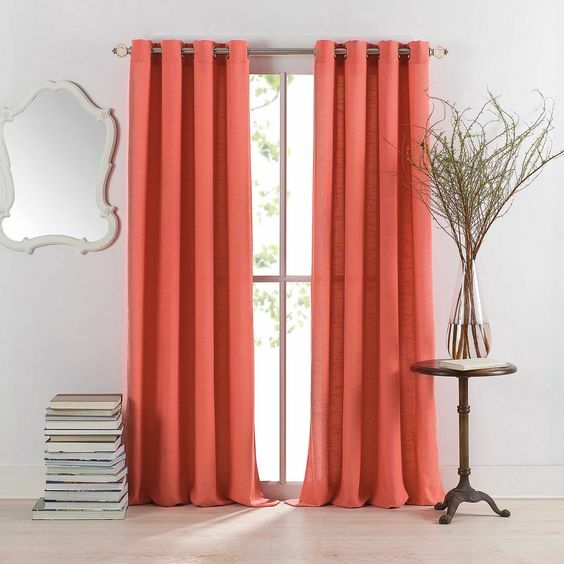 If your space is looking a bit drab, liven things up with a throw blanket, like this one in Living Coral (16-1546). Throw blankets are the perfect home decor item to add dimension and color to your home. 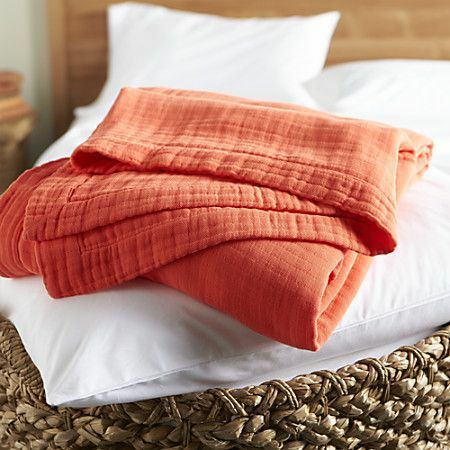 Drape them over the side of a couch or at the bottom of your bed. This home decor item is cozy and chic.